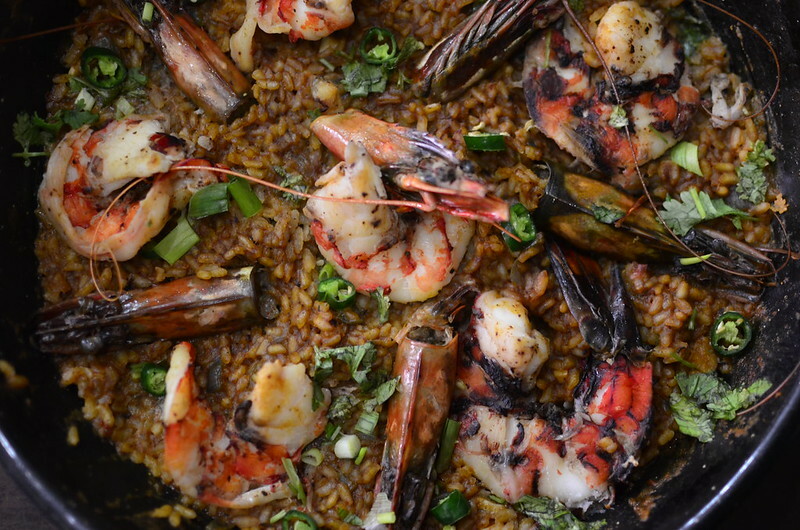 Inspired by Spanish Paella – also a red rice dish seasoned with saffron. After seeing all the ways in which Jollof and Paella ‘resemble’ themselves. Rice, sauce, bottom pot, much in common! Heat up 1 tablespoon of oil. Add the shrimps heads and bodies, a pinch of salt and chili powder. Stir for a couple of minutes till heads turn peach-pink. Remove from the heat. 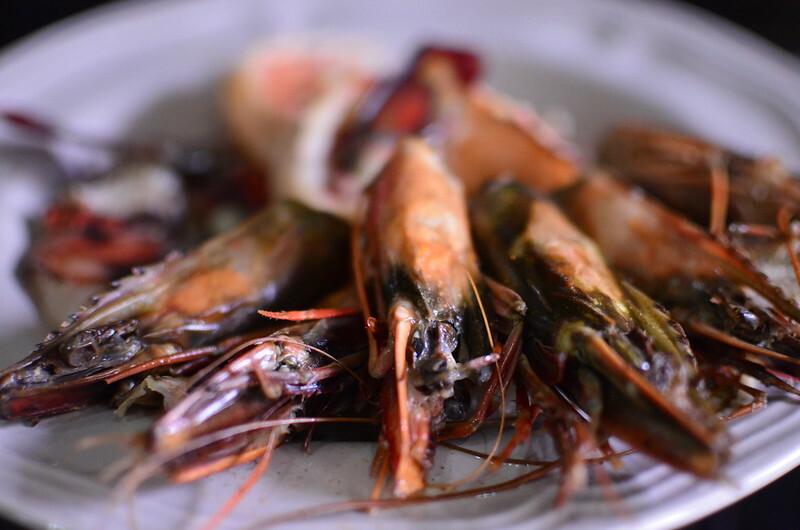 Set prawn bodies aside – they won’t be cooked through. I reserved half of the prawn heads to ‘decorate’. In a bowl/ jug, combine the remaining heads with 3 cups of water and the saffron threads. 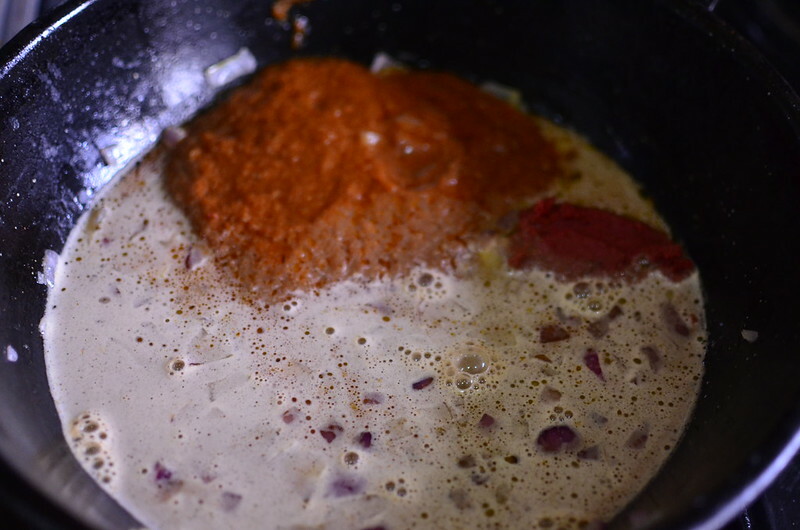 Allow sit for 5 – 10 minutes then blend till the shells are broken down and the liquid thickens. Pass through a sieve twice and reserve the stock – discard the shell mush. In the pan, put the rest of the oil. 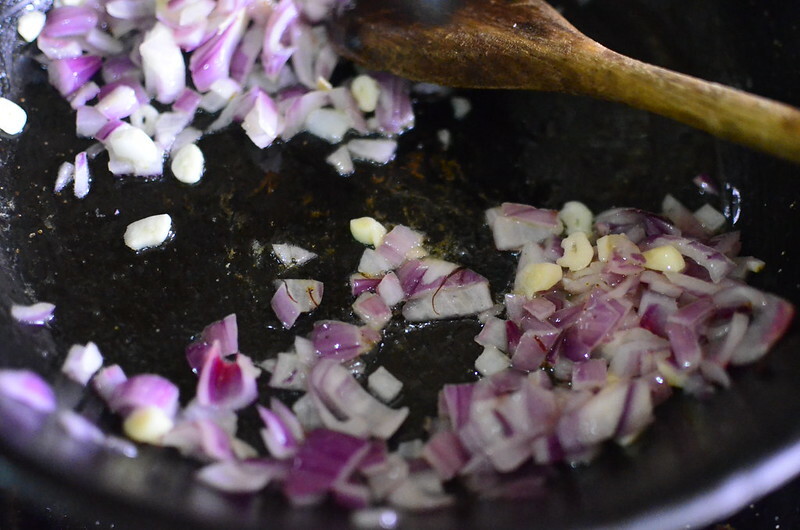 Add the diced onions, sliced garlic and a pinch of salt. Stir and let cook for a minute or so. Add the tomato sauce, tomato puree and 2 cups of stock. Stir till a uniform mixture forms. Let simmer for 2 – 3 minutes. Next in the pan? The rice. Sprinkle it around the pan and let it absorb some of the tomato sauce before stirring. 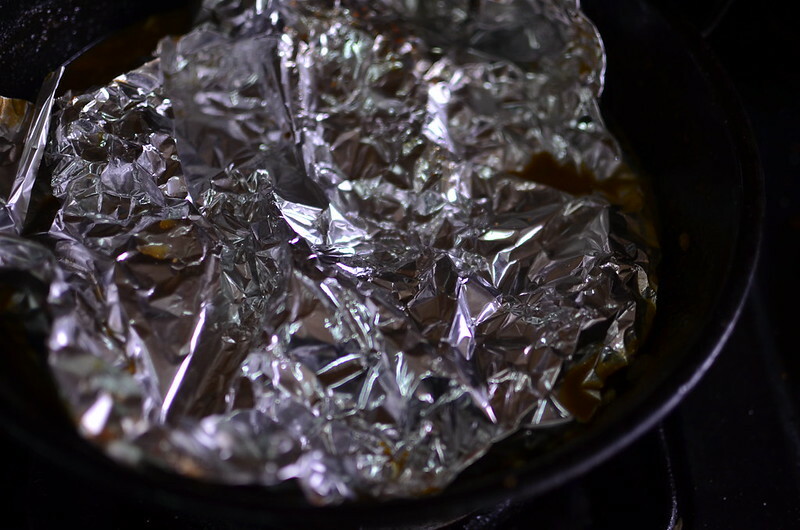 Cover with foil and a tight fitting lid and simmer for 15 minutes. Taste, adjust seasoning, stir and add more of the remaining stock if necessary. The rice should be al dente. This is the time to add your prawn heads and bodies. 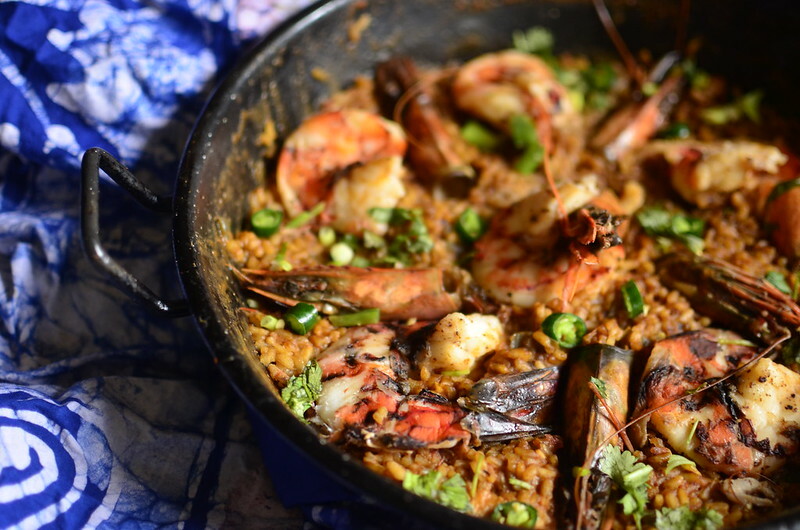 Allow to cook through till the prawns are warm to the touch, all the liquid is absorbed and the rice soft, about 5 – 10 minutes depending on the size of the prawns and the level of heat. Getting the socarrat. 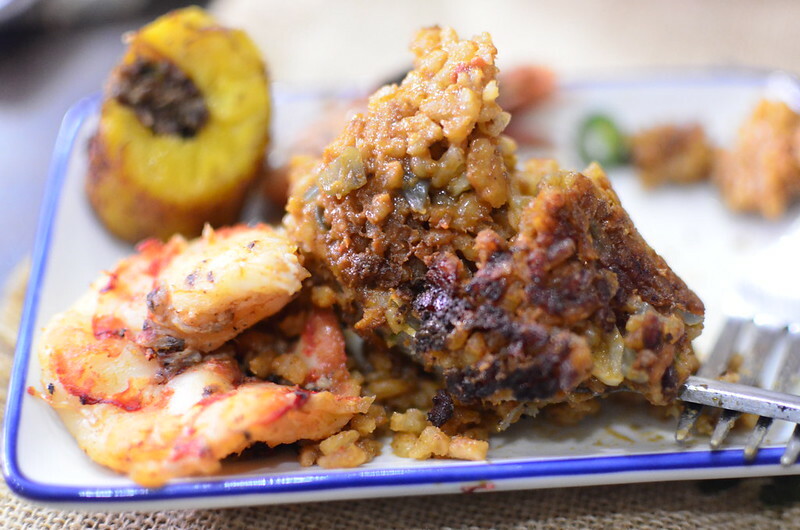 Socarrat (soh-kah-raht, from the verb socarrar, which means to toast lightly) is the caramelized crust of rice that sometimes sticks to the bottom of the pan. 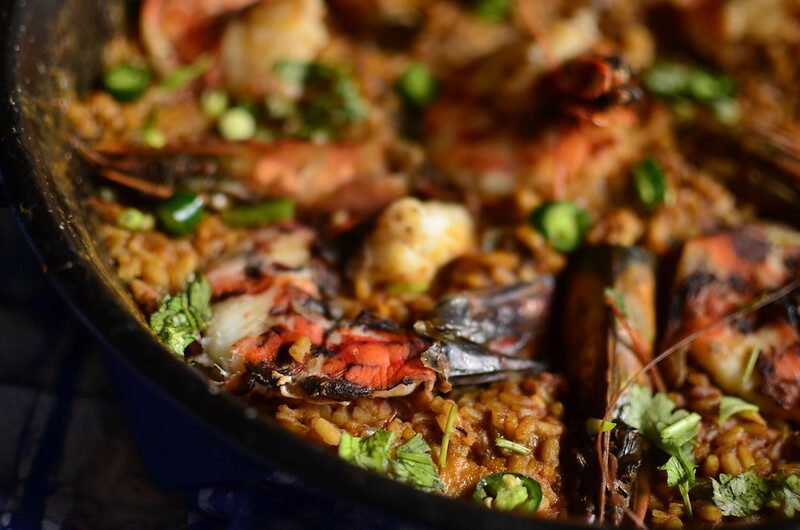 It is the prize in a well-made paella. To get some, increase the heat at the end of cooking, paying close attention to the sound of the rice (it crackles) and the smell (toasty but not burned). 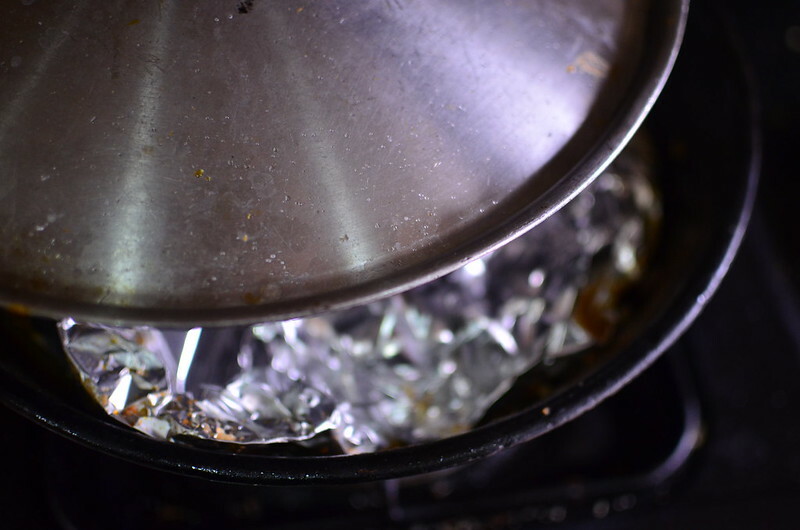 After one or two minutes, poke under the foil with a spoon; if you feel just a touch of bumpy resistance on the bottom of the pan, you’ve got socarrat. Finally, sprinkle over your veg/ greens – spring onions and cilantro in my case. 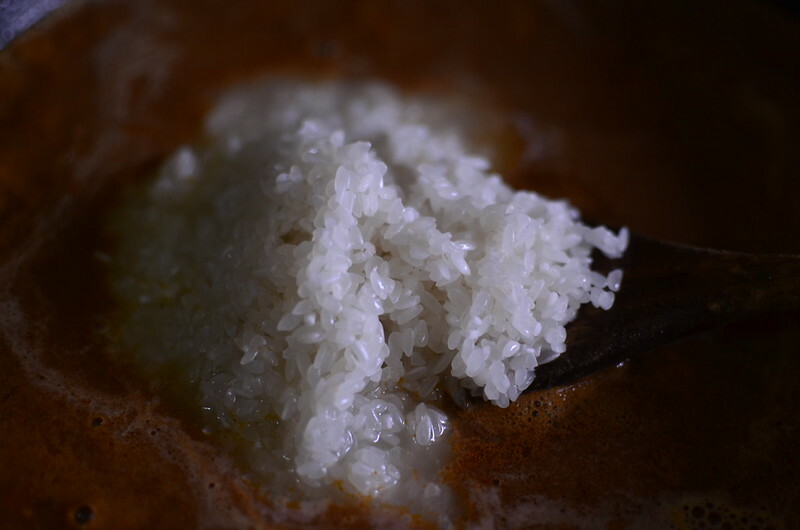 Remove from the heat and leave covered with a tea towel for 10 – 15 minutes so the flavours marry, the rice absorbs the steam and it all melds together. Tuck in! 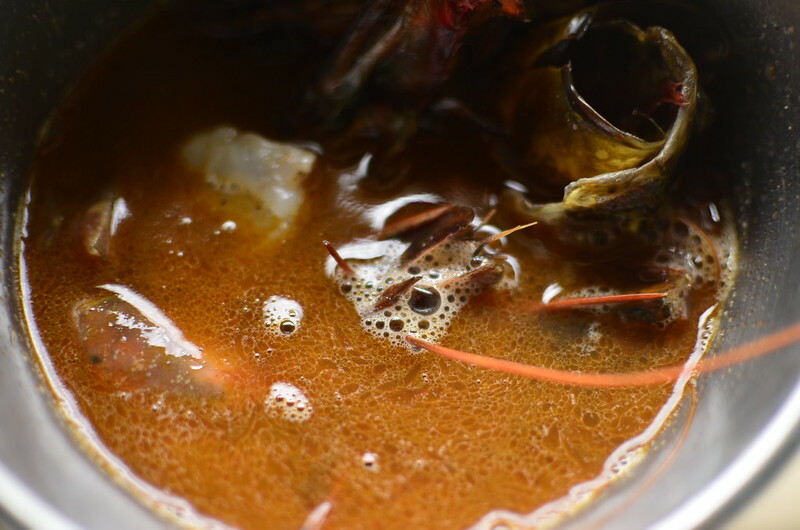 It was absolutely delicious – some briny flavours, saucy, spiced, fresh – I loved it! And the attendant soccarat I managed to create. Yes, yes, I know – I still have a ways to go in the school of bottom pot. 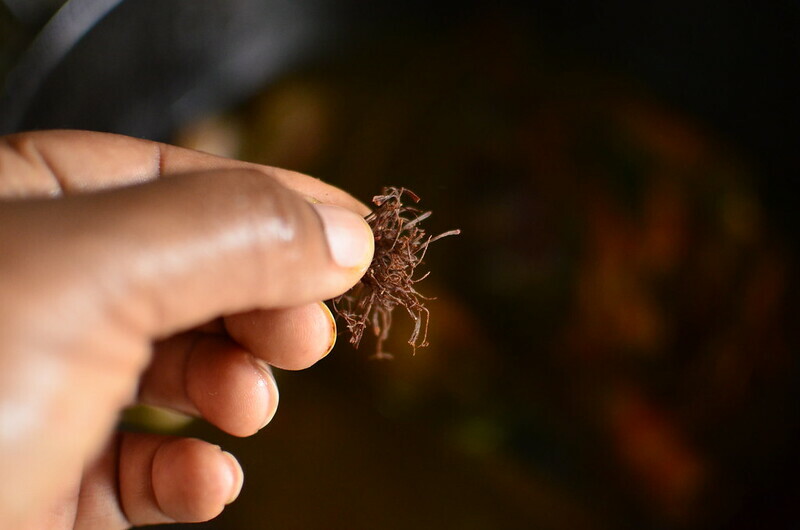 A bit of socarrat – very delish! Yum. As a true Nigeria, I served it up with some fried plantains. Delicioso. 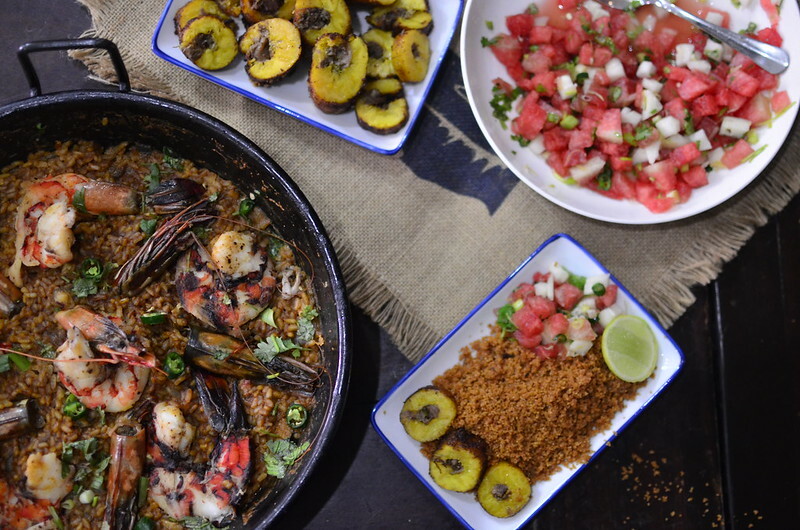 Check out the Acha Jollof and Spaghetti Jollof recipes for more inspiration!